Hybrid Resumes – When Are They a Good Choice? Many people think of a resume as a history of their career when, in fact, for a successful job search, it’s much better to view it as a marketing document. The ideal way to do a job search is to make contact with a hiring manager who will know something about you or have references from someone who knows you well. Sometimes, you can’t reach a hiring manager and your resume has to do the marketing for you. A historical account of your work eliminates many of the benefits you can offer to an employer or pushes them farther down the page than a screener will read if they haven’t already seen value. Here are three ways that a hybrid resume will serve you well. 1. Separating your accomplishment statements from the places you worked allows you to present accomplishments at the top of the list, closer to the beginning of your resume and closer to the part where a screener is still reading. During a downturn, a fellow who had been the Chief Financial Officer (CFO) for a few large companies was sending out a chronological resume. His objective was to be a CFO for a large company. Since his last job as a CFO, he had filled in with jobs to keep from losing the family home and to keep his kids in college. He was not above clerking at a 7-11 or driving a delivery truck if it kept his family afloat. A chronological resume showed only those kinds of jobs on the first page. He was not getting interviews. No one looked beyond the first page to see that he had all of the skills they needed and that he had helped previous companies succeed in very impressive ways. 2. Separating your accomplishment statements from the place you worked allows you to include accomplishments that were not on a paid job – the great things you’ve done in school or as a volunteer. One woman had not worked in a number of years while her children were small. When they started school, she was able to look for full time work again. She was looking for a position as a manager for an accounting department. Her previous jobs, years earlier, were management level positions in accounting and her degree was in accounting but the gap of many years was a stopper for a resume screener. Anything that raises a question is usually cause for rejection and gaps raise big questions. People can imagine all kinds of reasons for a gap in employment – prison time, institutionalization, and a big concern for some employers – Your family might have taken priority over your career. 3. Separating your accomplishment statements from the place you worked allows you to sequence your accomplishment statements to your advantage. When the accomplishment statements are in a separate block, you can customize your resume for each employer, providing the information they said was important to them in the sequence that they chose. Over many years, I’ve seen countless resumes where the information the employers told job seekers was important to them was at the end of a list of accomplishments that the employer didn’t even mention. You’re not locked into a chronological order. You can tell people what they want to know about sooner in the resume and keep yourself in the running for that job that is a perfect fit for you. 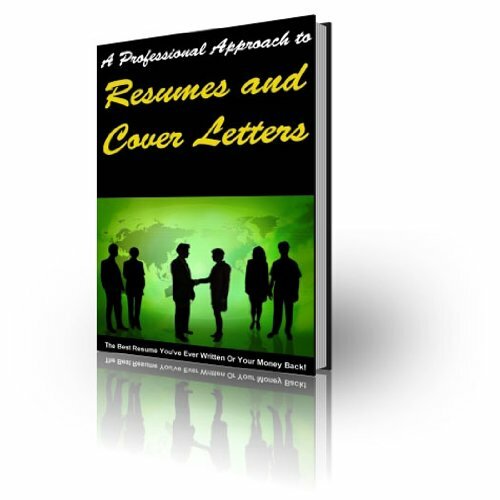 You can show the person reviewing your resume that you’re a match and make sure they have no doubts about forwarding your resume to the next level. Conclusion: Showcasing your value in clear, concise communication of the qualities that the employer showed you matter to them is the surest way to avoid the reject pile and keep moving toward that preferred position on the short list – ready for interviews. Joy Montgomery is a coach for startups, small businesses and job seekers. She helps you position yourself for growth, profitability, and acquisition.